“Seibei and the gourd” is a short story written by Shiga Naoya in 1913. The protagonist of this story is Seibei, a 12-year-old elementary school student who is a big fan of gourds. He obtains a gourd with a good shape for 10 sen, and carefully polishes it. But this gourd is taken away from him when he is found polishing it at school. The teacher gives the gourd to an old janitor. The janitor sells it to an antique shop for 50 yen. The antique shop then sells it at a whooping price of 600 yen to a rich person. This story tells you that something can raise its price exponentially from 10 sen to 600 yen, a 6000 times difference. The biggest contribution to this 6000 times price hike is the excellent trading skill of the antique shop. The shop owner correctly understood the value of the gourd, knew of rich collectors who would willingly pay money to obtain such a good product, and was financially capable of paying 50 yen to the old janitor to obtain the gourd. At the time of buying the gourd at 50 yen, there is no guarantee on how much it would sell for. Nevertheless, the courage to go forward to pay 50 yen based on one’s eye for value is what ultimately led to a successful transaction. Essentially, what led to the antique shop’s great investment was the combination of four strengths: each for valuation, information, finance, and courage. Historical figures who rose to the top in a single generation seem to have had these strengths without exception. However, the price of 600 yen was not created just with the antique shop’s skill. At the very beginning was Seibei, who discovered a good-shaped material and put in the effort to polish it to perfection, creating the gourd’s value. The 600 yen can be broken down into the value of the gourd created by Seibei and the price exceeding its value based on the trading skill of the antique shop, which captured the created opportunity. 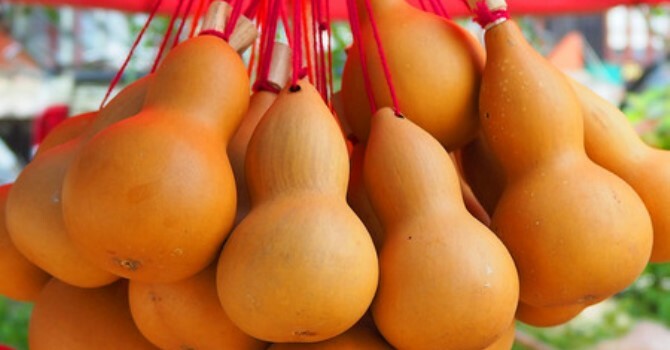 It was Seibei who had created a valuable gourd. However, without the antique shop, the value created by Seibei would not have been realized in society in the form of a price. The economy is made from the creation and distribution of value: in the course of distribution, value leaves a trail in the form of price. By the way, how was the 600 yen distributed? 550 yen to the antique shop, 50 yen to the janitor, and zero to Seibei, who is actually at a 0.1 yen loss. Although it was probably not Shiga Naoya’s intention to accuse the injustice of this distribution structure.